Al Pedrique? Remember him, the weak hitting shortstop for the Pirates from 1997-1998? 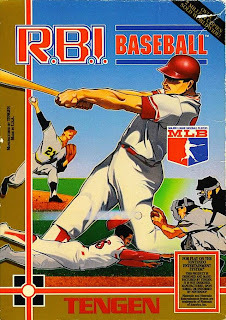 The thing I remember most was that he was named to the Topps All-Star Rookie Team in 1988 and was the starting NL All-Star shortstop in the video game RBI Baseball for the original Nintendo, the best baseball game ever! 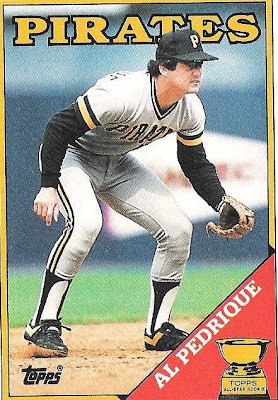 Acquired by the Pirates along with Scott Little for Bill Almon in 1997, Pedrique played just two seasons with the Bucs with the majority of his time at shortstop. He also saw time a second and third base. In his two years with Pittsburgh he hit .259 with his only career home run coming as a Bucco. He was released following the 1988 season and played one more year with the Detroit Tigers. Following his retirement, Pedrique manged in the minors for Arizona, Houston and Kansas City. In 2004 he was the third base coach for the D-backs and took over as the interim manager after Bob Brenly was fired. 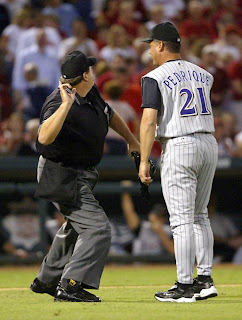 When Barry Bonds was going for his 700th home run in the 2004 season, Pedrique had him intentionally walked throughout the entire series. Cowardly? Yes. Funny? Yes! He is currently the Minor League Field Coordinator for the Astros. And one of the nicest people you'll ever meet.